Elenor Wiman, mezzo-soprano, studied at Nordjysk Academy of Music and The Royal. Danish Academy of Music with associate professor Susanna Eken and continued studies with John Guttman Sorensen. 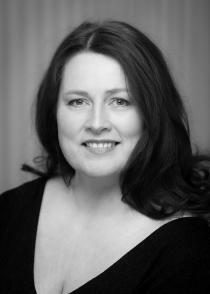 Elenor Wiman has sung in Wagner's Die Walküre Rossweisse respectively at concert performances with Gothenburg Symphony and Seville Teatro la Maestranza, Waltraute in Wagner's Die Walküre at Den Ny Opera in Esbjerg, Madame in Peter Bengtsson's opera Jungfrurna (Die Zofen) at Theater Lübeck, Carmen with Opera Fresca in Copenhagen and 2nd Lady in Mozart's The Magic Flute at Fredensborg Summer Opera. In 2007-2009 she sang Emilia in Verdi's Otello with Opera i Provisen, La Musica and Messagiera in Monteverdi's L'Orfeo at the Court Theatre in Copenhagen, Sorceress in Purcell Dido and Aeneas with Copenhagen Soloists, Waltraute, 2nd Norne and Flosshilde in Wagner's Götterdämmerung at the New Opera in Esbjerg, Storge in Handel's Jephta with Den Jyske Sinfonietta, the mother of Niels W. Gade Elverskud with Randers Chamber Orchestra, and Haydn's Nelson Mass with the Oxford Philomusica. In addition Elenor Wiman starred as vocal soloist in the ballet Silk and Knife at the Royal Theatre in Copenhagen. In 2010-2013 Elenor Wiman sang Margret in Alban Berg's Wozzeck with Pori Sinfonietta in Finland, the idea of war and love which is Monteverdi's eighth book of Madrigals staged at Bramstrup Gods in Denmark, Second Witch and Spirit in Purcell's Dido and Aeneas with Barokksolistene and DR Vocal Ensemble and she was alto solist in Rossini's Petite Messe Solennelle with DR Vocal Ensemble. Additionally, she has been alto solist with orchestras across the country in Schubert's Mass in A flat major, Bruckner's Mass in F minor, Bach's Matthew's Passion and John's Passion, B minor Mass, Mozart's Requiem and Handel's Messiah. Elenor Wiman has worked outside Denmark with such conductors as Kent Nagano, Marc Soustrot, Frank Maximilian Hube, Jukka Iisakkila and in Denmark with conductors Lars Ole Mathiasen, Ebbe Munk, David Riddell and Olof Boman.